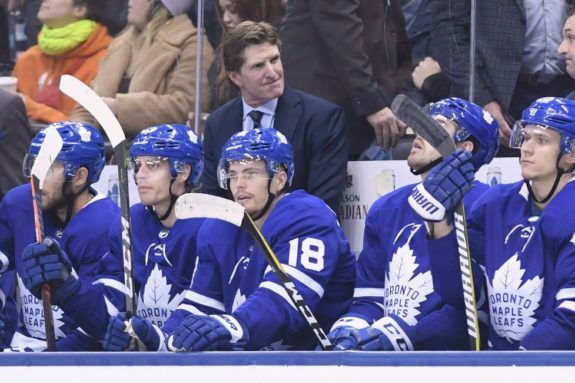 Maple Leafs' Management: Is There Trouble in Toronto? Maple Leafs’ Management: Trouble in Toronto? 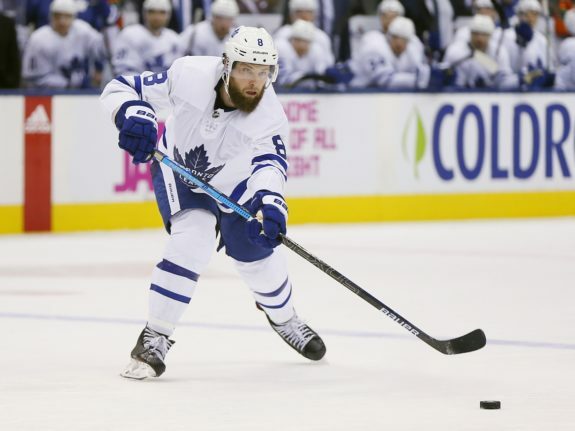 Starting with the team’s March 11 loss to the Tampa Bay Lightning, the Toronto Maple Leafs had lost four of five games. The bleeding only ended when they beat the Buffalo Sabres 4-2 on March 20 in Buffalo. Unless you’re the Tampa Bay Buccaneers, most teams have a tough stretch or two during any season, so losing itself isn’t a problem. However, there were two issues with these games. First, the games weren’t even close. The team started slowly almost every game and gave up 26 goals in those five games, scoring 15 themselves. In short, the Maple Leafs played poorly against less than stellar opponents. The Ottawa Senators, of all teams, soundly beat them 6-2 in Ottawa. Second, the team lost four of five at a time when it should be fitting the pieces together, but obviously isn’t. 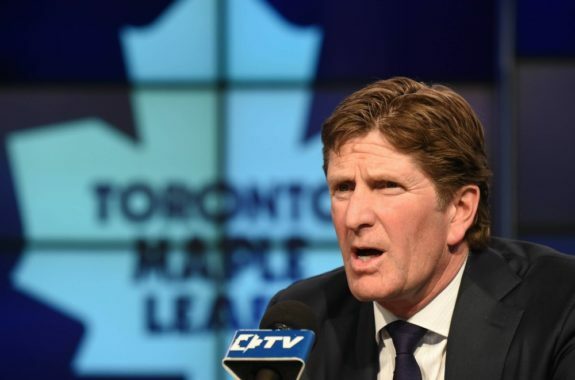 Is Something Stewing with Maple Leafs’ Management? Just prior to the Buffalo game, Elliotte Friedman titled his March 20, 31 Thoughts’ post: “Can Maple Leafs’ marriage between coach and GM last?” Friedman had an interesting interpretation of some of coach Mike Babcock’s comments in the wake of the Maple Leafs’ recent skid in the standings. Specifically, Friedman wondered if something was going on behind the scenes that could be detected in Babcock’s recent comments. In his provocative post, Friedman reviewed the Maple Leafs’ chances to win the Stanley Cup by looking at the March records of recent Stanley Cup champions. His research found that every team that won the Cup during the past 10 years had compiled a winning record after March 11. He noted that the Maple Leafs’ skid didn’t fit that pattern, and he hinted that the future might not bode well for the team. Who Was Babcock Talking About? When I first read Babcock’s statement, I simply thought he was talking about his need to play Muzzin, a left-shot defenseman, on his off-hand. But, perhaps I was wrong. Was Babcock talking about Muzzin in general? Again, at first, I thought Babcock was commenting on his own coaching decisions and was second-thinking his choice to replace his trusted center, 6-foot-5 giant Frederik Gauthier, with Petan on the team’s fourth line. Now I am wondering if he wasn’t commenting on, and disagreeing with, Dubas’ decision to trade for the speedy and skilled Petan. 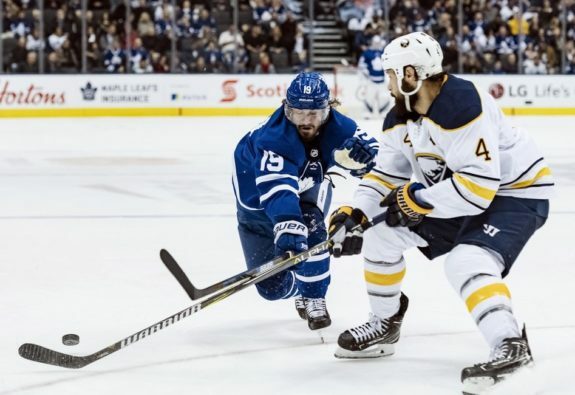 Friedman and Felice both suggest that Babcock and Dubas are not on the same page this season nor do they have similar future visions for the team. I’m starting to believe they’re right. 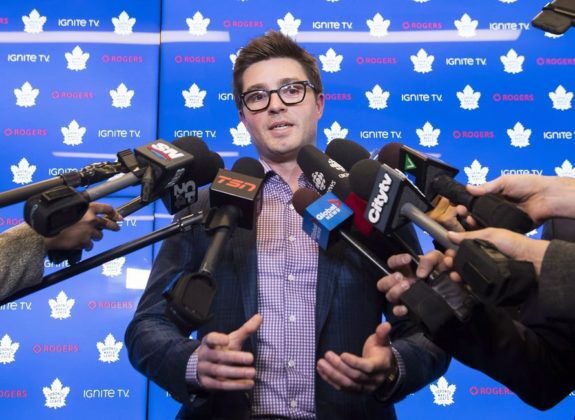 When Dubas traded for Petan at the trade deadline, he noted that Petan played the kind of hockey the Maple Leafs wanted. Obviously, Babcock disagrees. Specifically, Petan scores a goal against the Sabres in his first game; then his second game is the Canucks game Babcock noted. Then Petan sits. He’s only playing now because Gauthier is out with a foot injury. Still, Dubas extended Petan’s contract to two years and $1.55 million. Hmmm. What’s up? Is This Typical Mike Babcock? So, as Maple Leaf fans, we are left with a number of questions. Is this Babcock’s way of coaching? Is this him working relentlessly to shape the team in his own vision? And, does he share a vision of what the Maple Leafs should look like with his general manager? Finally, with the playoffs approaching, is Babcock starting to look at his team and wonder if it has the punch, size, grit, or personality to go anywhere in the playoffs? Friedman’s comments hint that Babcock and Dubas do not share the same vision. Felice’s post mirrored those comments. If they are correct, as my THW colleague Brian Joyce noted in his March 15 post, and the Maple Leafs don’t make it out of the first round of the playoffs, perhaps it’s time Dubas looks at the tough decision of removing Babcock as coach. The Toronto Raptors did it with coach Dwane Casey after last season, and we’re not yet certain how that will work. Dubas might be faced with a similar decision, although Maple Leafs fans hope that decision won’t be soon.